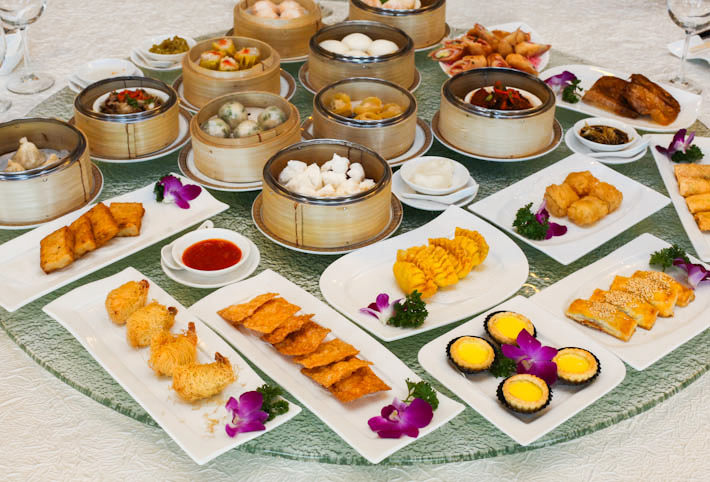 Ban Heng has a dim sum buffet with more than 30 dim sum items at just S$17.60++ per pax. There is no doubt that Singaporeans take their dim sum seriously—we would source high and low for the best dim sum places in Singapore. What we love even more though, is a great deal that is easy on our pockets without compromising on the quality of the dim sum. Originally at S$22.80++ per pax (inclusive of S$2 charge for Chinese tea, pickles & towels), Ban Heng has a current promotion of one dines free with every three paying adults. This works out to be only S$17.60++ per person! Yes, you can go for this awesome deal when you visit any of the five Ban Heng restaurants in Singapore during weekday lunch hours. 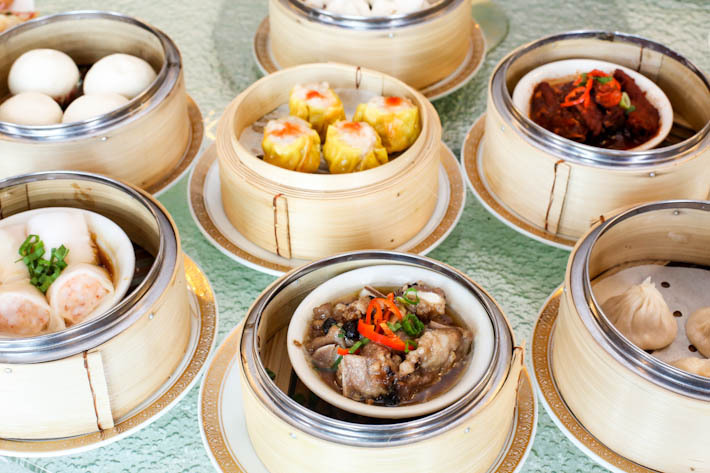 Here is why you should not miss out on this incredible dim sum deal at Ban Heng. 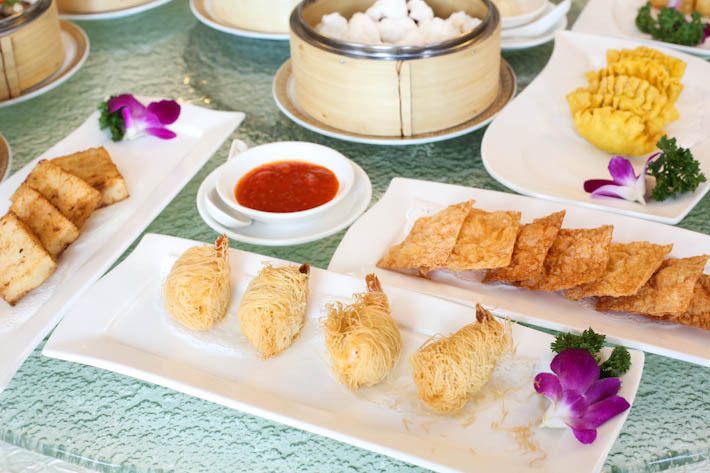 At Ban Heng, there are more than 15 deep-fried dim sum items for you to chose from. We had a hard time deciding what we want from the myriad of choices but we sure aren’t complaining! Our favourite of the lot goes to the Deep-Fried Shrimp Dumplings. The plump shrimp encased in a crispy shell was so addictive that one plate was not enough for us to share. If you are a fan of shrimps, be sure to get more of this because it is THE BOMB. Another dim sum dish not to be missed at Ban Heng is the Barbecued Char Siew Pastry with Sesame. 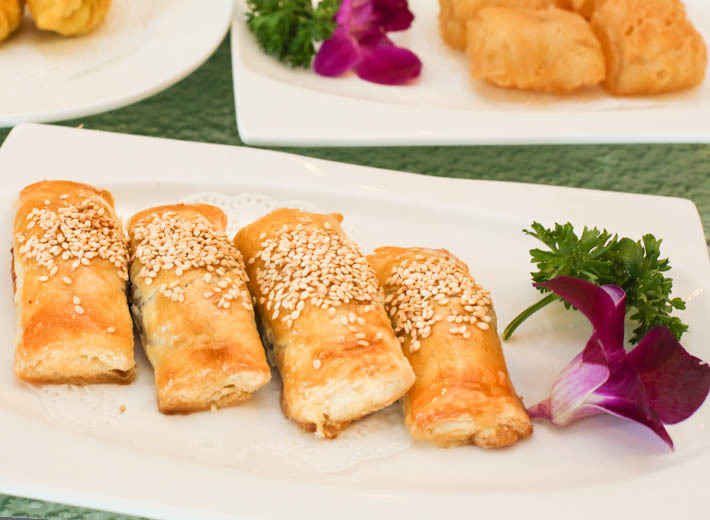 This is a timeless classic and we enjoyed the flaky pastry puff roll filled with juicy and tender barbecued pork. 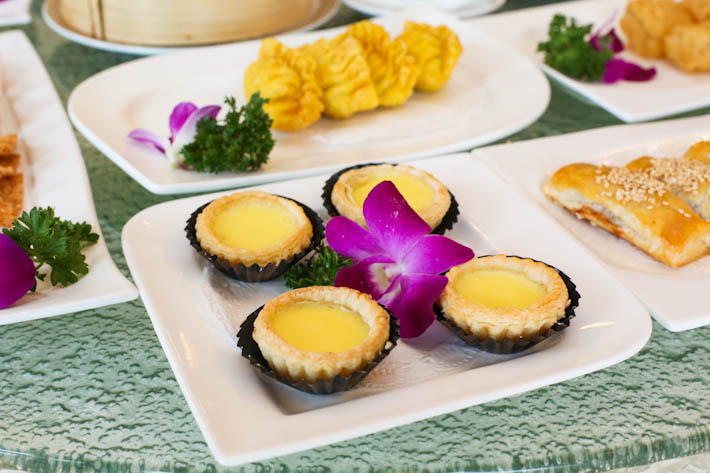 Some other deep-fried dim sum you must try include the Deep-Fried Beancurd Skin, Paper Wrapped Chicken Wings and Baked Mini Egg Tarts. Do note that Egg Tarts are limited to one serving for weekdays only. Those who prefer steamed dim sum can look forward to a wide selection which will not disappoint your taste buds. These freshly steamed dim sum are little parcels of happiness and were all served piping hot to us. No dim sum buffet is complete without Steamed Shanghai Meat Dumplings, or more commonly referred to as ‘Xiao Long Bao’. Slurp up the warm broth that bursts out from thin dumpling skins before indulging in the delicious meat! The Steamed Pork Ribs With Minced Meat may look unassuming, but trust us when we say that it was one of the best dim sum dishes. It was the fragrant black bean sauce which really hit all the right spots for us and gave the steamed pork ribs an extra oomph. Yes, we know that you are waiting for us to talk about the Steamed Salted Egg Yolk “Liu Sha” Bun. And yes, it definitely lived up to our expectations when the custard lava exploded out upon giving the bun a slight tear. Remember to whip out your phones for that Boomerang video! If you are looking for alternatives, try the Steamed Siew Mai With Crab Roes, Shrimp Chang Fun, Steamed Shrimp & Water Chestnut Wanton… and the list goes on. 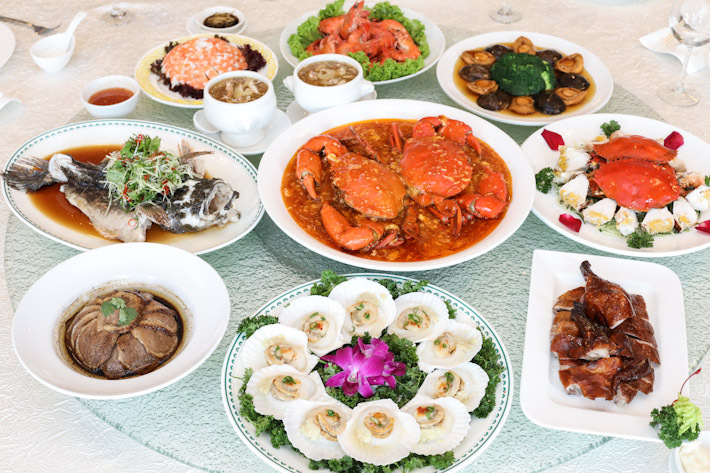 Beyond the dim sum buffet, Ban Heng also offers an all-you-can-eat seafood buffet which features Singaporeans’ favourite Chilli Crab, Cold Crab, Steamed Soon Hock and more. 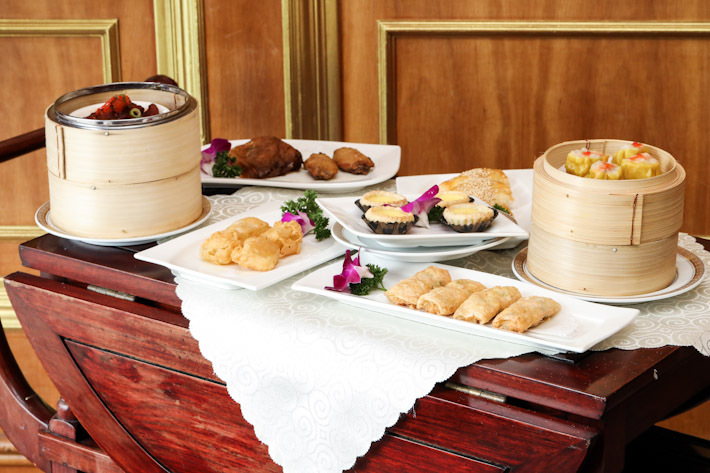 Similar to the dim sum buffet deal, one adult dines free with every three paying adults! With that promotion, Ban Heng’s Seafood Buffet is only S$25.10++ per person instead of the regular price of S$32.80++ per pax (inclusive of S$2 charge for Chinese tea, pickles & towels). Under the Chef’s Recommendation category, diners will find the best recipes Ban Heng has to offer. These premium items are limited to one serving per dish. Crabs come in three different flavours—Chilli, Cold and Black Pepper. Ban Heng’s rendition of Chilli Crab is one that will delight all spicy food lovers. While other chilli crab recipes outside tend to be sweeter, this one is considerably spicier and it should impress you. 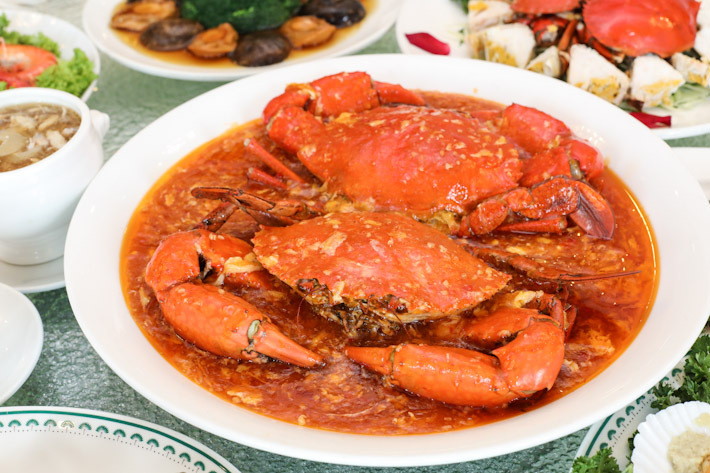 Ban Heng has also introduced the popular Teochew-style Cold Crabs to its seafood buffet menu since 01 Aug 2017. 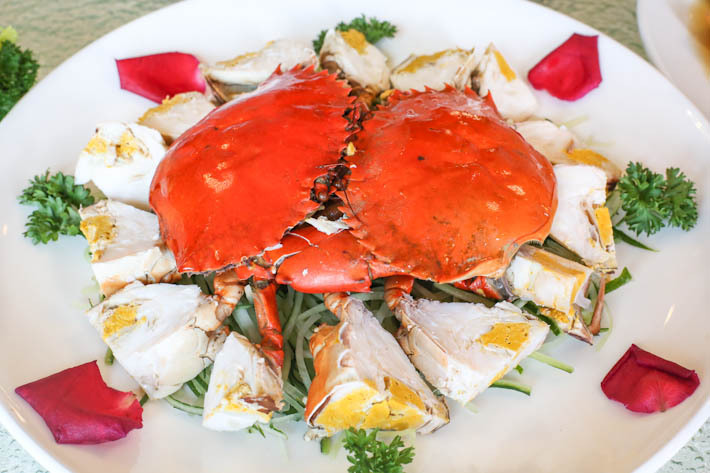 Nothing fanciful about these crabs, but that is precisely the essence of Teochew Cold Crabs—chilled, fresh crabs that is so sweet with every bite. And oh, that roe. Look at those roe. Every piece comes with an insane amount of rich and creamy roe—the prized part of Teochew Cold Crabs. Who cares about cholesterol? 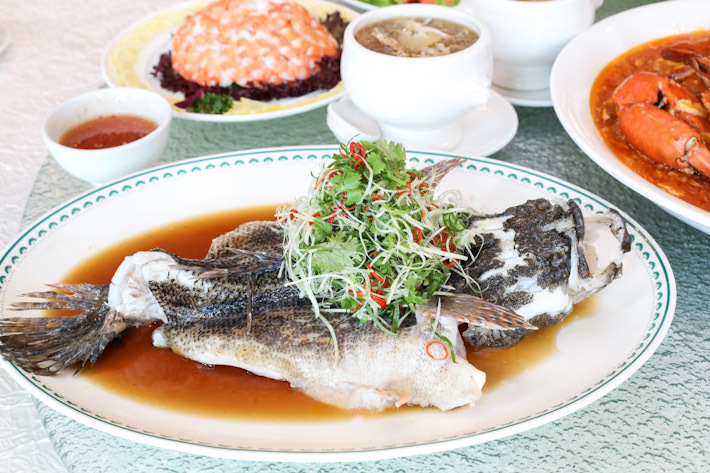 Ban Heng’s seafood buffet also includes the classic Steamed Soon Hock Fish with Soya Sauce. Served piping hot from the kitchen, the steamed fish was extremely moist and fresh and the flavours were elevated with premium soya sauce. 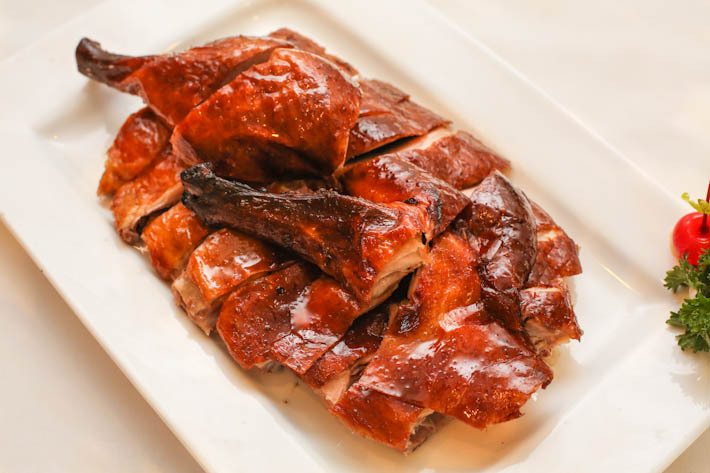 Of course, we must give special mention to the Barbecued Crispy Duck under the Roasted Meat category too. Kudos to the chefs for roasting the duck so well that the crispy skin was in a glorious dark brown shade. The duck meat had a good layer of fats which added extra flavours to the succulent duck meat. Diners can also expect other dishes including Shark’s Fin Soup with Crabmeat, Wok Fried Prawns with Cereal, Braised Slice Goose Meat in Teochew Style, Barbecued Pork with Honey and Chilled Prawn with Special Thai Sauce. *One dines free with every three paying adults. Chinese tea, pickles and towels are chargeable at S$2 per pax. This post is brought to you by Ban Heng Group.